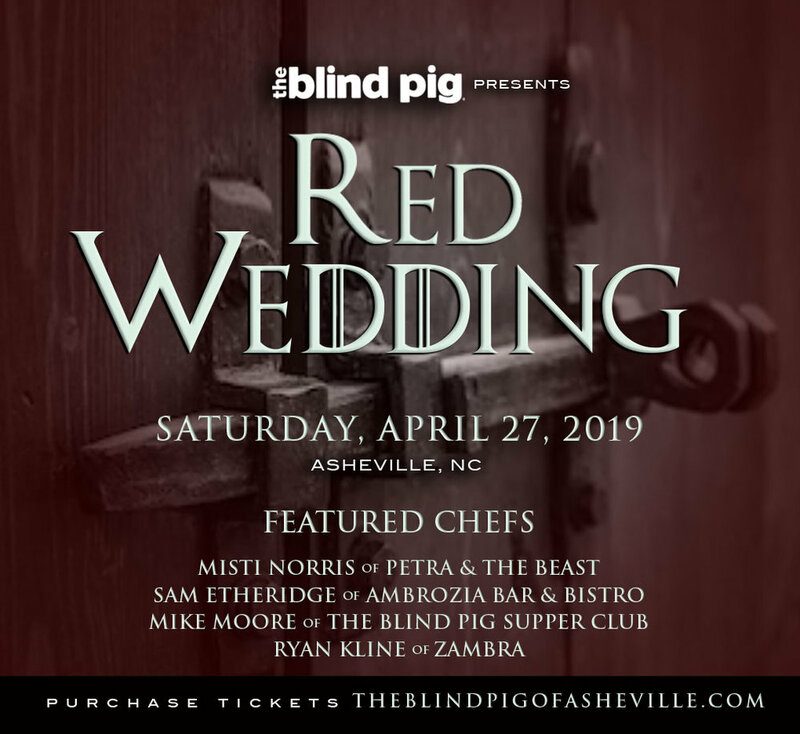 It's been over four years since our first Black Sheep pop up which is a collaboration between Um Segredo, Supper Club NYC and The Blind Pig Supper Club Asheville. What is Black Sheep? Well, some of us have just always stood out. Join us for a bit of a bold and different menu approach and dining experience- look for cuisine inspired from Portugal to the American South. 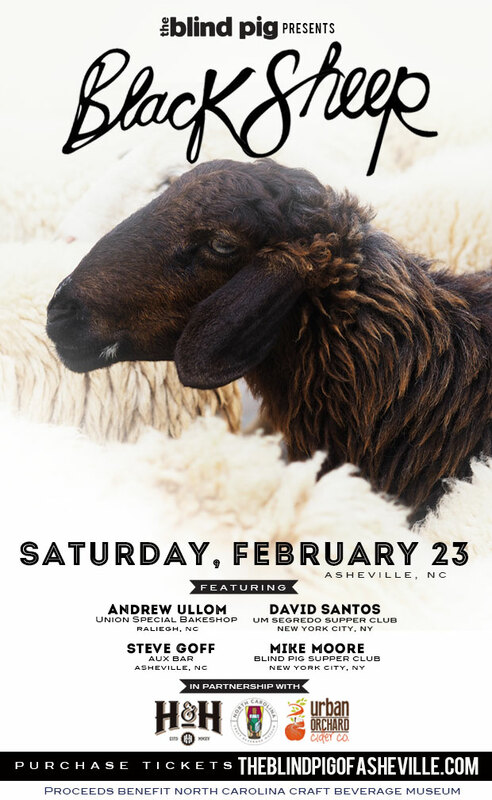 Saturday, February 23rd, 2019- join Chefs David Santos, Mike Moore and Steve Goff and introducing Chef Andrew Ullom of the widely anticipated upcoming Union Special Bakery in Raleigh, NC. 5 Course menu and food event is in Asheville, NC. Location is disclosed 48 hours before event. 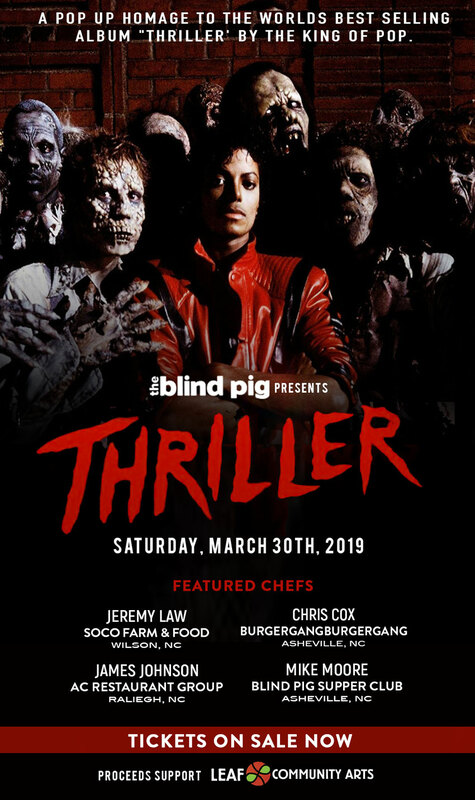 Featured Chefs: Jeremy Law of SOCO Farm + Food Wilson, NC, Chris Cox of Burgergangburgergang AVL, James Johnson of Bridge Club AC Restaurant Group Raleigh, NC, and Mike Moore BPSC AVL.